I was at Watsons last week because I’ve been seeing one of my favorite sale displays again. That Cetaphil pack for 3 that’s worth only P816. But that’s not what I am going to share because Watsons made my shopping visit very memorable this year, I already completed my gift giving list. This is by far my earliest to complete my list. In fact, I hosted a Watsons giveaways to my loyal readers to shop with me for simply being them. I asked them their reason why they should win and shop with me in Watsons. After a week, I realized that there are a lot of my readers who love Watsons. And so I declared a winner. Her name is Dyan Mendoza. Dyan has been an online friend who just tried her luck among over 70 entries. And the rest, as they say is history. For Dyan, it is an opportunity as well to complete her gift giving list. We shopped together. When we entered the branch, the store already exhibited a very organized display of sale. 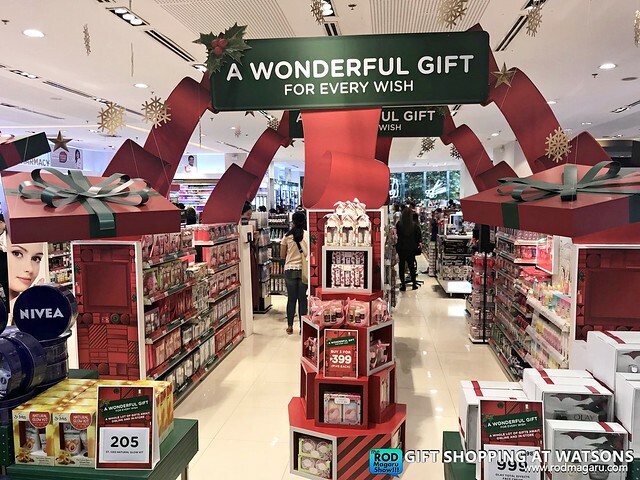 I know that this is just a part of its Holiday 2017 campaign Watsons is offering nationwide. 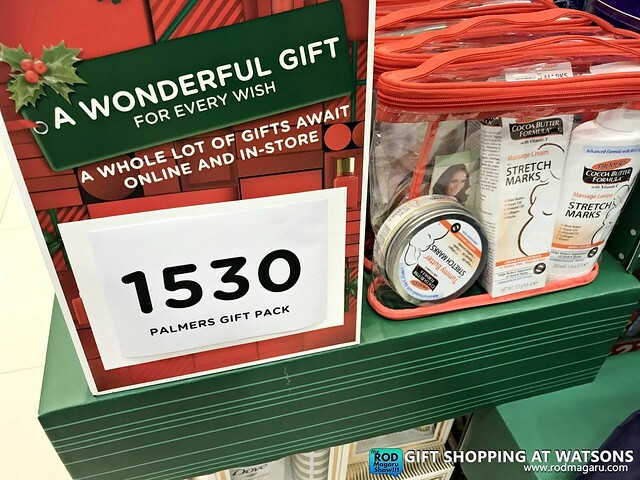 With a huge selection of gift ideas to brighten up the season for all of us, Dyan and I enjoyed that afternoon. 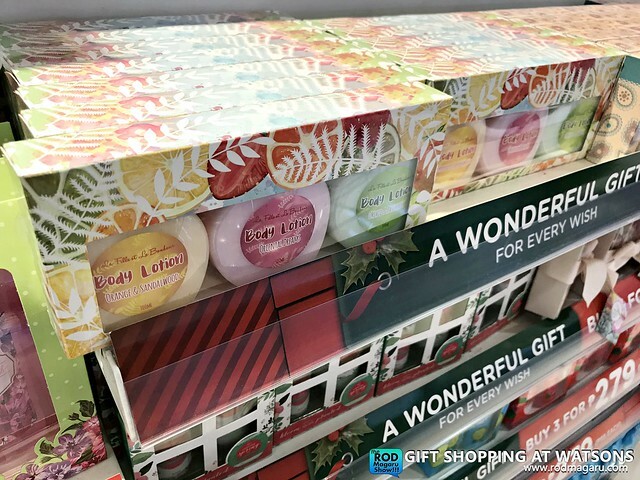 What I love about shopping on Christmas is that every people at Watsons are way very friendly, I remember a staff named Cherry assisted me for as long as she could during that afternoon. 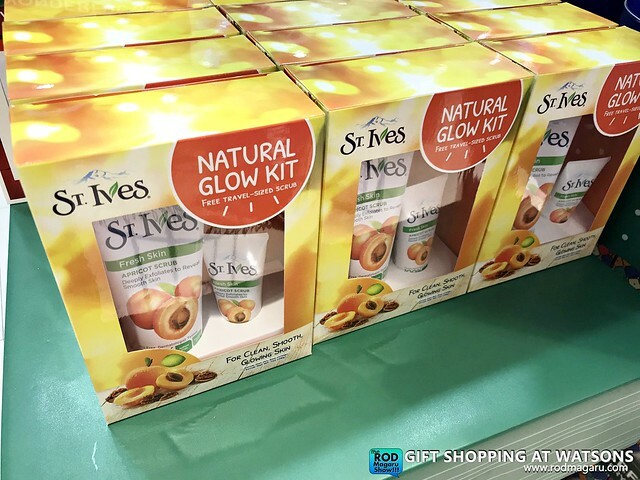 I saw St Ives (My mom’s favorite) and a Palmers brand for my pregnant officemate so they’re having these on Christmas from me! Whether it’s for family or for friends and just about everyone in between, there’s definitely something that you can pick out in-store. Here I found a body lotion set, which is perfect for my girl friends. I saw dyan were asking for a makeup set and Watsons didn’t disappoint! If you are planning for a makeup set for your kikay friends, Watsons has it! Or if youre looking for a grooming set for your groovy tito and boss? They have it! They actually have a Mix & Match Promo for the ultra savvy shopper. 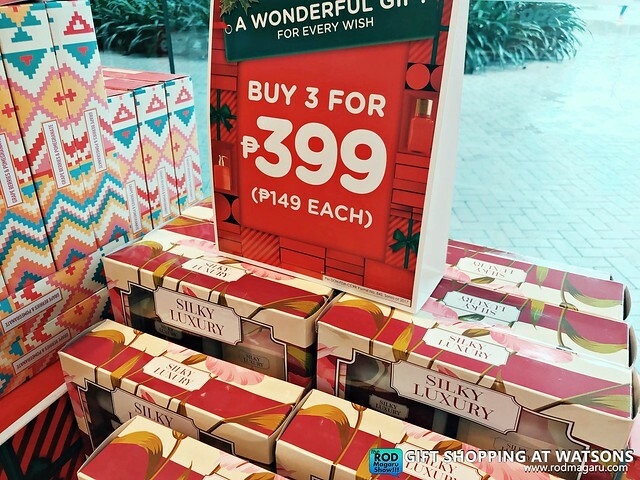 You can buy 3 gift sets worth P99 each for just P279, or 3 gift sets worth P149 each for just P399! 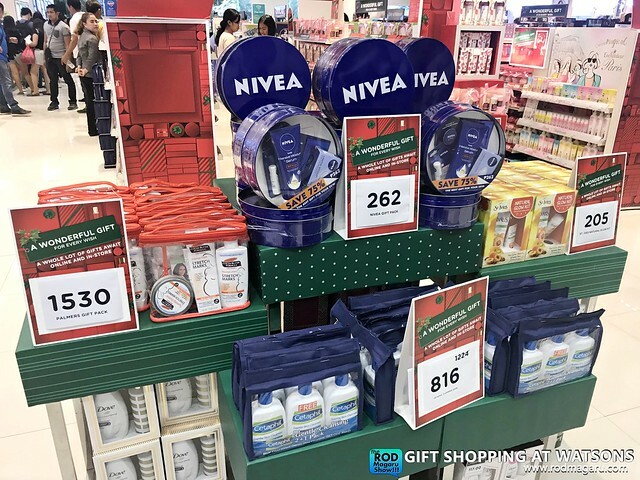 My favorite was the Nivea Set worth P262. It was a fun filled afternoon with friends and Dyan, who also happen to have an SM Advantage Card. For those who weren’t able to visit lately, every SMAC members entitle you to one (1) e-raffle entry and be one of the 50 lucky winners of 20,000 shopping points. That is for every P500 single-receipt purchase of any Christmas gift sets.